I recently had the chance to dine out at Sante Fe Grille. It is easy to see why we can so easily recommend this restaurant to our customers. Although it was a bright sunny day here at the lake, the air outside was quite chilly so the glow of the indoor fireplace, not only created a relaxing ambience, but brought much needed warmth as well. 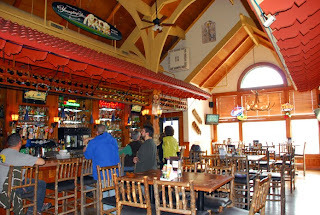 They have a great menu selection and their lunch specials are very reasonably priced. I chose the Soup/ Salad combo and can honestly say that their French Onion Soup is out of this world! The margarita wasn’t too shabby either. 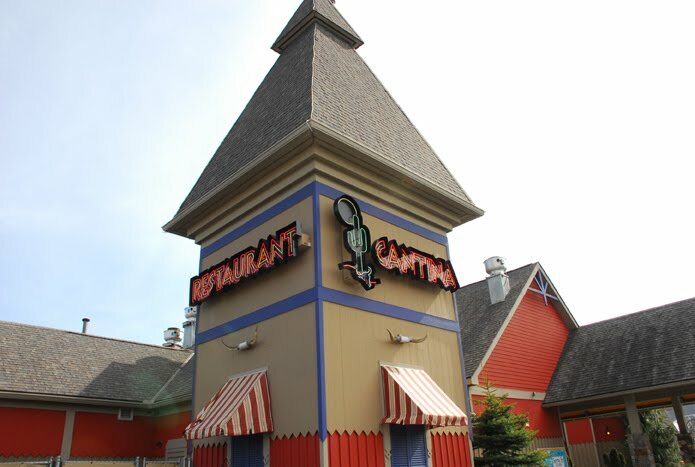 The casual atmosphere and full kid’s menu makes this one of the most popular family friendly restaurants here at the lake. Stop in on Tuesday evening, order any entrée with a salad and the kid’s meal is complementary. This Friday, Taylor-Made employees and owners, will be visiting Sante Fe once again. On this evening, March 18th, 10% of all sales will go to the Relay For Life charity. So come out and join us for a fun night of savory delights all while giving to a great cause. Can’t wait to see you there! Last weekend marked the 13th anniversary of the Deep Creek Dunk. This year brought record breaking numbers with over 1, 000 people dunking themselves into the icy waters of Deep Creek Lake. These brave hearts were able to raise over a whopping $160,000 for Special Olympics for Maryland. Creativity was alive and present with some extremely interesting costumes. “Celebrity sightings” were seen frequently throughout the event from everyone to multiple Michael Jacksons, Kiss, Poison, and even Hugh Hefner and his “bunnies”. No matter how crazily clad or scarcely clad some costumes were, one thing was certain. A wonderful time was had by all. A special thanks to all those that witnessed, volunteered their time, donated money and raised money for this very special and noble cause.